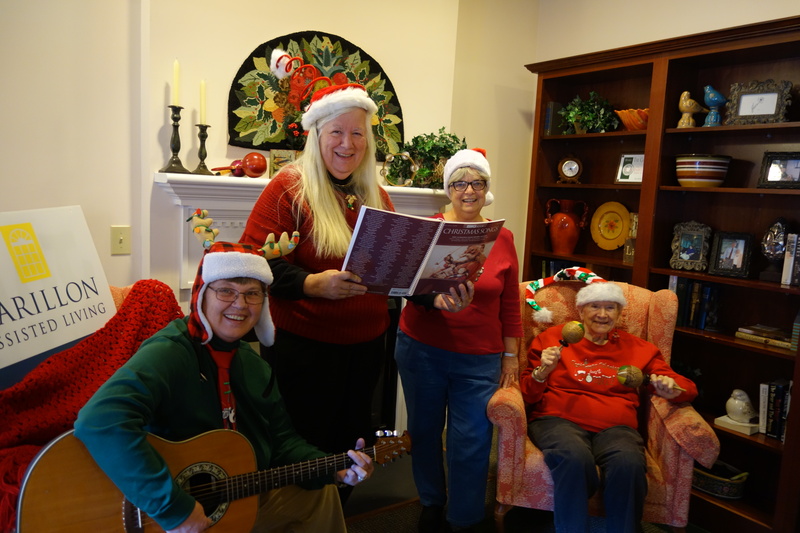 Santa might be making his list and checking it twice but Side by Side songleaders, Jan Mallindine, Beth Mallindine, and Ruthie Rosauer are ready to make the season a little brighter with songs from both the regular Side by Side repertoire — and much-loved Christmas songs. The community is invited to join us in singing on Wednesdays, December 10 and 17, at 1:30. Refreshments will follow the song session. The sessions are FREE. All are welcome! Location is the Carillon Center at 3851 Howard Gap Road, Hendersonville, North Carolina.